Grove Sky - New Construction two story residence offering unparalleled lifestyle in an urban-chic living. 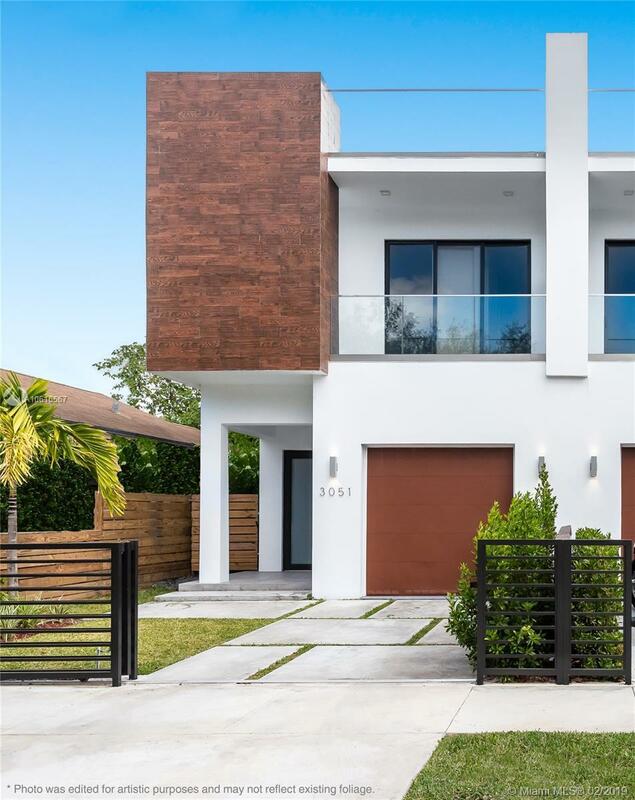 Nestled within the vibrant area of Coconut Grove; a contemporary design of a spacious, light-filled floor plan. Featuring 4 bedrooms, 4 full bathrooms, 11 foot ceilings, porcelain floors throughout, infinity edge pool, impact windows and doors, and much more. Enjoy an extension to your home with its large and private 1,700 Sq Ft rooftop terrace equipped with lighting, electrical outlets and water connection. Directions: From Us1 Head East On Bird Avenue, Turn Right Onto Ohio Street, Home On The Left.